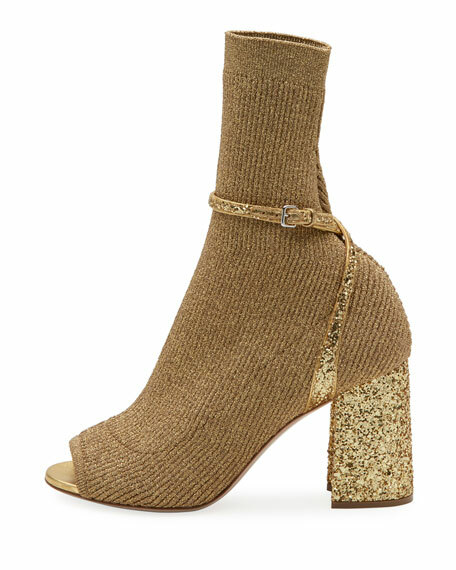 Miu Miu stretch-knit bootie with glitter trim. 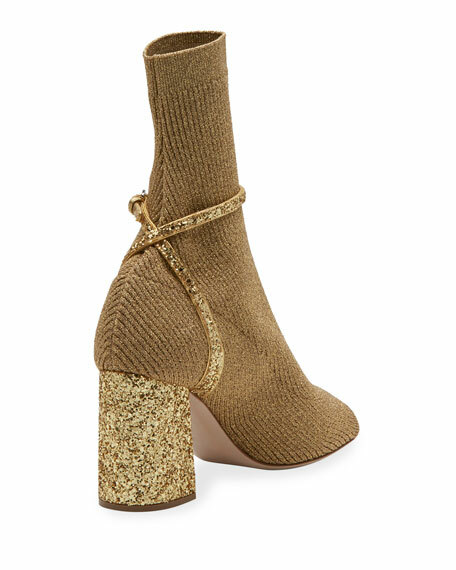 3.3" glitter covered block heel. For in-store inquiries, use sku #2371287.